Since I'm currently working on new YOT version, I'd like to ask you for feedback. What functionalities/upgrades would you like to add to the site? - youtube movie gallery (30%) - found a movie? Post it instantly! ... so... is there anything else on your mind that I can add? Wow this looks like a lot of work for you, I appreciate everything you do to keep this site up to date with features and such, thanks for putting in the work for all of us!!! I'm excited to see the new look! I know I don't post much, but I am here almost daily still, and feel comfortable speaking my mind in these "walls".. It's good to have a place like that! what about something like this in the dojo tab? That's Okay... but who will support the SFxT (and SC V probably) sections? 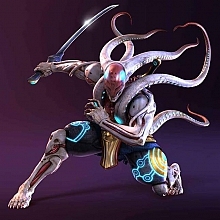 # Tenshimitsu : That's Okay... but who will support the SFxT (and SC V probably) sections? I'm not that sure for SC V, since SCIV was pretty much a personal letdown for me, but we shall see..
All right, new YOT is up! The sections in Manji Dojo will come later, first we have to add there some articles, and that's why I decided to create Strategy Blog. Please go around and see if everything works. Very well done Tenshi! Very nice, I love looking far out into the sunset. The layout is much better, with the updates and down menus. I'm also liking the new 'like' feature too. Eh, did all the old blogs get deleted? New design eh? looks good so far. I need to play around more to get used to the new stuff you have put here. It made navigating back and forth through the forum quick and easy where now I have to re enter the forum via drop down menu just to look at another topic..
any chance we could implement something to help? The navigation breadcrumbs are on dark blue banner - is it enough?